Bosden Dental practice operates from our large, well-appointed premises in Stockport. We are easy to reach either by car or public transport and have plenty of parking for our patients. If you are looking for a dentist in Offerton who is accessible, then we are ideal and our premises are wheelchair friendly too. We are a family run dental practice and pride ourselves in providing all of our patients with the most positive dental experience possible. If you are anxious about visiting the dentist, or perhaps you have let your regular check-ups slide and are nervous, please do let us know and we will be happy to do everything we can to put you at ease. Our highly qualified team of staff includes dentists, dental hygienists and dental nurses. 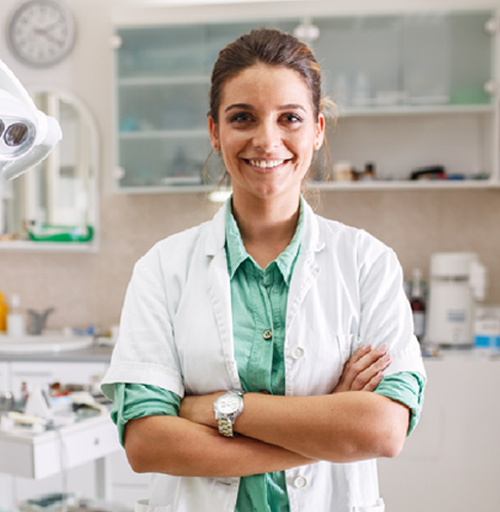 Some of our dentists are also qualified in specialist areas of dentistry such as prosthodontics and orthodontics. We offer a very high level of service and our staff regularly attend industry courses in order to keep themselves up to date with the latest industry techniques. Whether you have moved to the area and are looking for a dentist close to Offerton or are merely looking to change your current dentist, why not give us a call to make an appointment for a check-up. We believe in a preventative approach, so the sooner we can help you start a regular oral health routine the better. Our hygienist will be able to discuss your cleaning routine with you and perhaps suggest some areas of improvement that can be made to ensure your teeth and smile are looking their best.